KRIAUNU MALUNAS, UAB, Kuras, kietas, Mediena, neapdirbta, Medienos drožlės ir pjuvenos, EUROPAGES. The main product of JSC KRIAUNU MALUNAS is firewood for fireplaces, RUF sawdust briquettes, wood pellets. We are a stable company that has gained the trust of consumers. We produce and sell square sawdust briquettes. 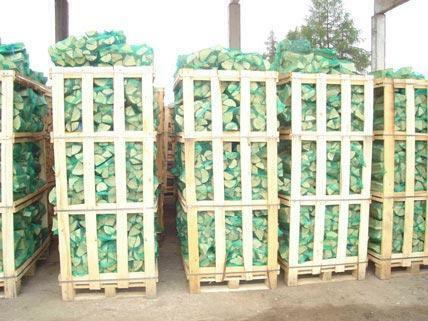 These are the briquettes which are manufactured with the help of the Ruf Integration Press Machine. Pallet dimensions are 1.20 x 0.80 m. We load 960 kg (96 bags) into one pallet and 25 pallets into the machine (24 tonnes). They are packed into 10 kg bags (12 units). 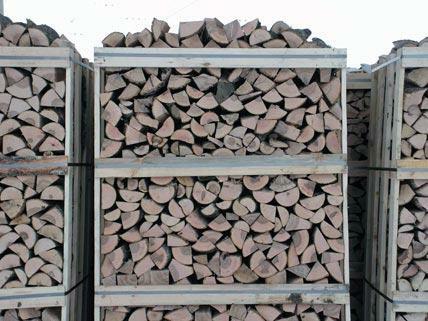 We pack firewood of different dimensions: the length of firewood may reach 25, 28, 30, 40, 45 cm (the diameter can range from 6 to14 cm), which is then loaded into pallets or is packed into bags. 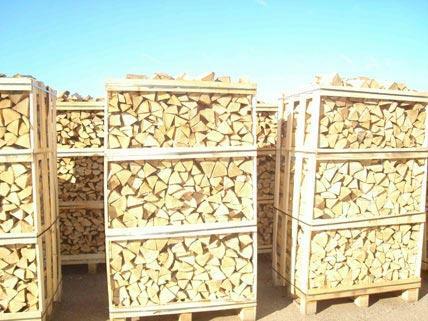 There is a variety of different lengths of wood as well as pallets with different volumes. We have such firewood species - ash, birch, oak, and alder. We provide timber transportation services. We make and sell wooden single cutting boards (fresh or dried in kiln).